Nothing is more important than reaching your intended audience. 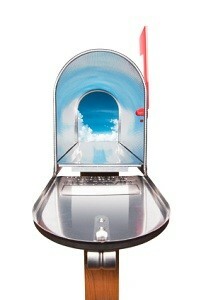 Using USPS certified software we can update and cleanse your list to improve deliverability. Address correction (CASS), duplicate elimination and running your list through the National Change of Address service (NCOA) will ensure your mail piece is received. Valuable resources will not be wasted on inaccurate or duplicate address information. Don’t have time to update your lists? Let us help! We specialize in accurate data entry so you don’t have to worry about constantly maintaining additions, edits and deletions to your data. We’ll store it and back it up so you can have easy access to all or part of your list. Our responsive staff will give you any information you need from your data…queries, counts and reports emailed on demand. Life events such as graduation, newlywed, childbirth, recently divorced, etc. Effectively using resources is important to your survival in this economic climate. 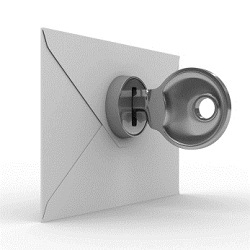 You don’t want to throw money away sending multiple mail pieces to the same recipient. It sends the wrong message that you don’t have control of your list. The slightest deviation in how data is acquired can create duplication. Based on your criteria we can examine your list for multiple entries and misspellings so that only one mail piece will reach a household or company. Similar names or nicknames can be identified and eliminated, (such as Bob or Robert) saving materials, postage and time. The USPS requires that all data to be used in a mailing requesting Postal discounts be run through the CASS subscription software. Your data file will be compared to all addresses in the US until a conclusive match is identified. Once identified this process will correct most misspellings, abbreviate address information to the acceptable USPS abbreviations, i.e. Road to RD. It will also apply codes necessary to create a barcode that represents the mailing address. Barcoding is essential to most mailings, it helps speed the delivery of your mail piece and will result in deeper postage discounts. To reduce undeliverable mail the USPS has adopted what they call Move Update standards. Essentially it requires that address files be updated on a regular basis so that anyone that has moved can be easily identified. This has drastically reduced the amount of time the USPS has to spend redirecting mail to a recipient’s new mailing address. It improves delivery rates and thus response rates. Running your data file through NCOA processing is just one way to meet the Move Update requirement. Unlike other move update methods, NCOA allows addresses to be updated prior to sending them a mail piece. When someone is moving they go to the USPS to fill out a move information card so their mail can be forwarded from their old address to their new location. In the NCOA process, a data file is compared to all move information on file with the USPS if a match is made new address information is returned electronically and the data file is automatically updated. The mail piece can then be sent to the new address without delay! The U.S. Postal Service offers postage discounts for mail that is presorted according to the rules in the DMM (Domestic Mail Manual). By keeping up with the complex and ever-changing postal presort regulations and maintaining up-to-date software subscriptions, we can guarantee our clients will get the highest postal discounts. You pay less in postage and your mail reaches the intended recipient faster. Why spend time trying to figure these regulations out, allow us to help you so you can worry about your core business. Many times the postage savings we garner for our clients more than cover the cost of our services. To find out more about how our data and presort services can help your marketing campaign, contact us, or you can request a free quote.